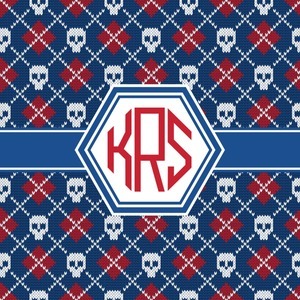 Take preppy and combine with goth and you get...Knitted Argyle & Skulls! Really, this design is so unique- with the little skulls here and there in the classic pattern. The recolor-ability of the pattern adds to the uniqueness. The hexagonal label in the center is the perfect place for the personalization of your choice.